Today’s case is a 10 year old Fox Terrier with difficulty breathing and a palpable cervical mass. What are your findings? There is an oval mass dorsal to the trachea in the cranial neck. It extends from C2 to C5. There is an irregular gas lucency through the mid-area of the mass, and the caudal aspect is also outlined by gas in the esophageal lumen. 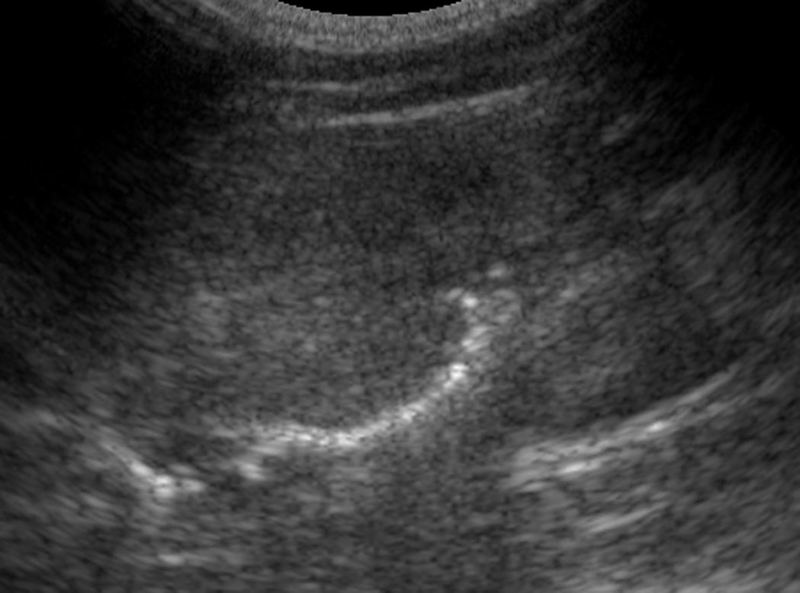 On sagittal and transverse ultrasound images, the mass is homogeneous with an irregular gas pattern that is contiguous with the esophageal lumen. The mass is an expansion of the esophageal wall. The position of the mass caudal to the pharynx and dorsal to the trachea make an esophageal mass most likely. In addition, the gas in the lumen and caudal to the mass support this location. 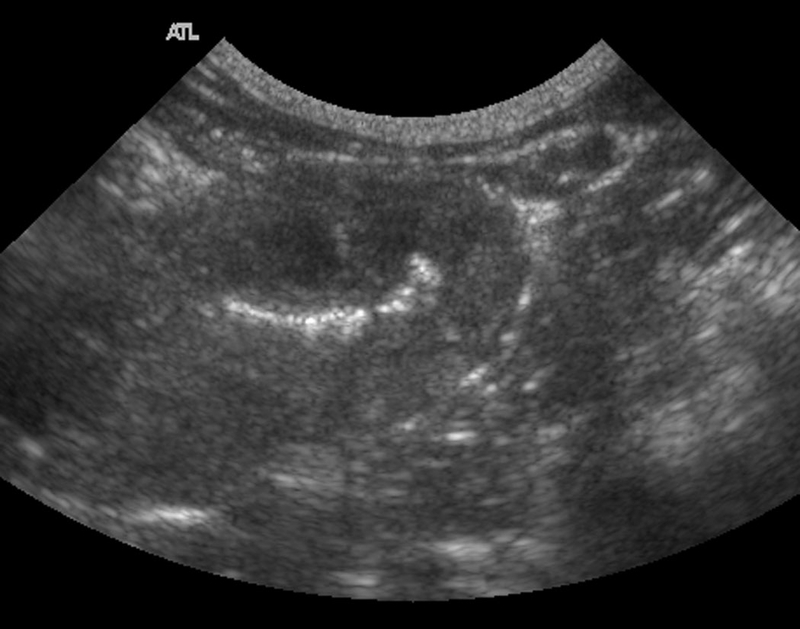 Ultrasound made a definitive diagnosis on the mass location. An esophagram would have also delineated the margins well.